Looking up Grindsbrook Clough from close to the top. On this day the clough was dry until other streams joined from the sides, but even then the path remains clear and dry all the way down. 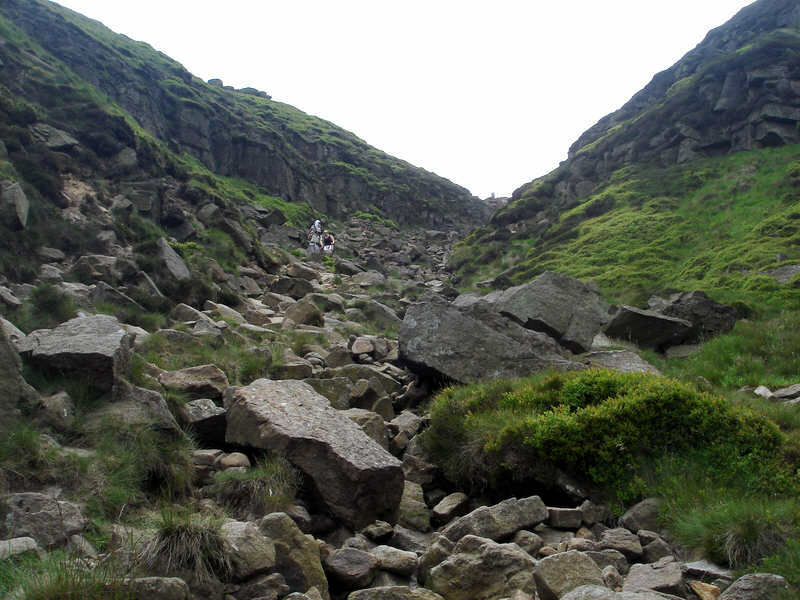 The route down the clough requires a bit of care but is actually much safer and easier than it looks from a distance.